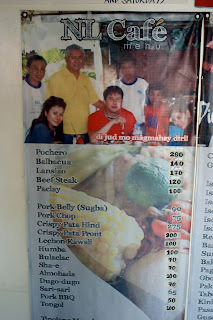 If you happen to crave for local favorites like Balbacua, Pochero, Lansiao and many more, try going to NL Cafe. The eatery is located at 2nd Street, North Reclamation Area, Cebu City. It is opposite SM at the back of Sungold. They should serve these dishes in all the Cebuano hotels and restaurants. Very good food I must say!